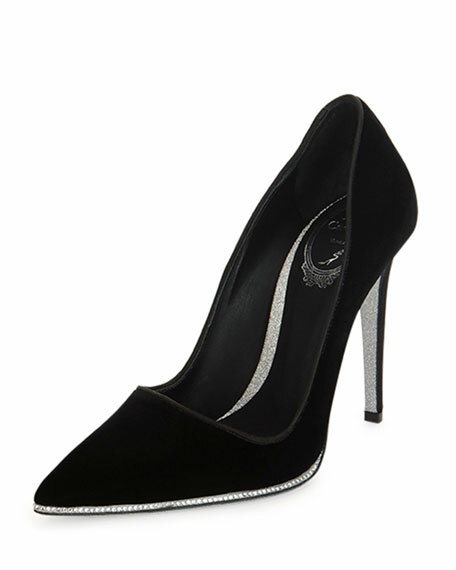 Rene Caovilla pump with velvet upper. Italian designer Rene Caovilla learned the art of shoemaking from his father, himself a master who learned from the heralded Luigi Voltan. Known for his jewel-like shoes, Rene Caovilla has worked with some of the world's most prestigious haute couture houses, including Valentino, Christian Dior, and Chanel. 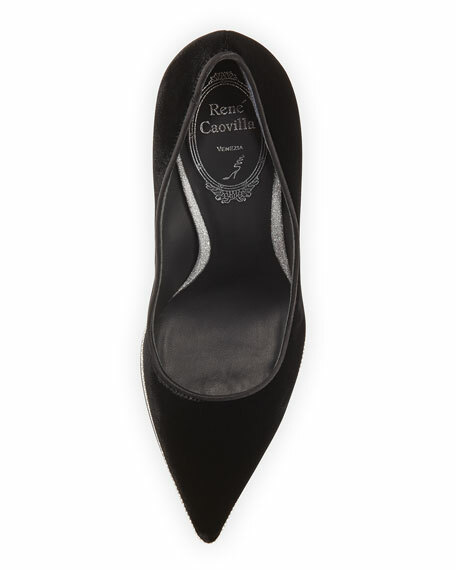 His own Rene Caovilla collection features elegant, sculptural shoes that are considered wearable works of art. For in-store inquiries, use sku #1534829. 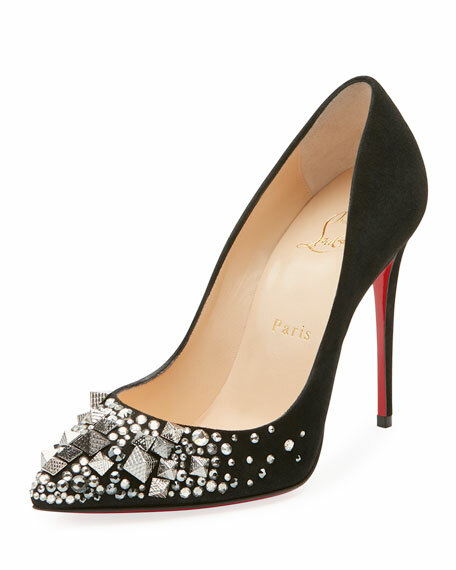 Christian Louboutin leather pump. 4" covered stiletto heel. Pointed toe. Crisscross strappy vamp. d'Orsay silhouette. Adjustable ankle strap. Padded footbed. Signature red leather outsole. "Cross Fliketa" is made in Italy. Christian Louboutin patent leather single-sole pump. 4" covered stiletto heel. Pointed toe frames low-cut vamp. Tonally topstitched collar. Leather lining and padded insole. Signature red leather sole. "Decollette" is made in Italy. Christian Louboutin pump in veau velour suede. Multicolor crystal embellishments. 4" covered stiletto heel. Pointed toe. Slip-on style. Signature red leather outsole. "Keopomp" is made in Italy. 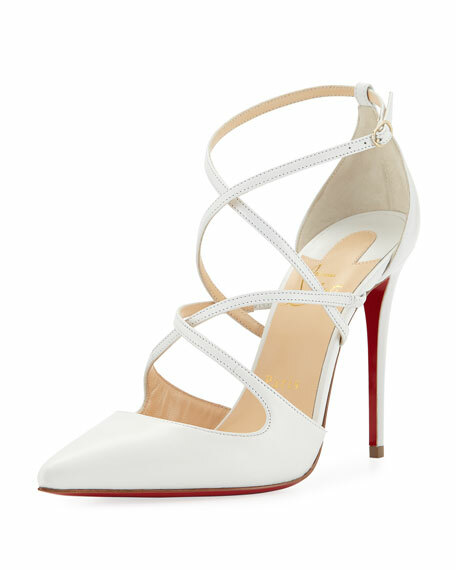 Christian Louboutin degrade patent-to-matte leather pump. 2.3" covered heel. Pointed toe. Low-dipped collar. Slip-on style. Signature red leather outsole. "Pigalle Follies" is made in Italy.